Employers can handle their entire background screening fulfilment process – they can raise a service request on the background screener and job applicants simultaneously in a seamless manner. Receive progress notifications/alerts via email/SMS, handle exceptions (data insufficiencies), accept/reject/re-open cases via smart workflow, review documents, and access case reports. 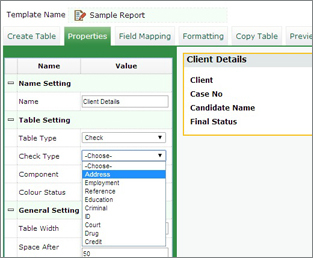 Core module of the product suite helps background screening providers manage the entire verification lifecycle in a streamlined fashion – service providers can connect various stake holders using predefined workflows, register cases, assign tasks to teams based on verification criteria, manage documents, handle exceptions, monitor work-in-progress, provide real time updates to employers (read as clients), configure case-report templates and publish case reports online. Checks360 SmartFetch is a feature that can automatically connect to the client ATS (Applicant Tracking System) and update the candidate's case data and documents into Checks360 or work independently with any background verification technology. 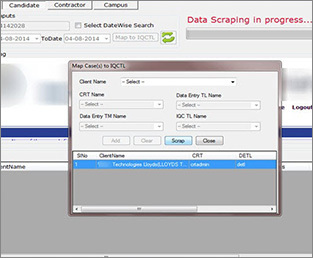 Automating Data Entry can significantly help screeners reduce manual errors, time and cost. 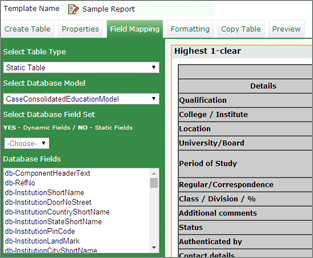 Checks360 FlexiReport is a powerful report template designer which empowers background screeners build custom report templates to meet client need for tailor-made report formats.